Black Spirit 200 wins the 2019 MIPA Award for Best Guitar Amplifier! 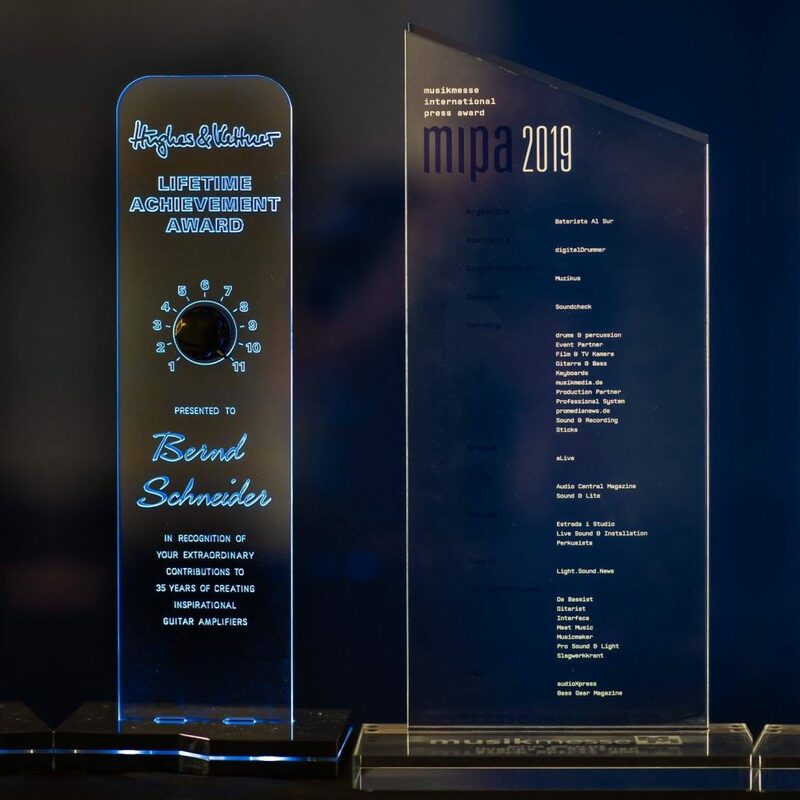 Black Spirit 200 has won the latest in a long line of awards – this time, it’s the prestigious Best Guitar Amplifier prize at the 2019 MIPA Awards ceremony in Frankfurt, Germany! The MIPA (Musikmesse International Press Award) event is held each year during the Musikmesse show in Frankfurt, and categories are voted on by a panel of international journalists from music magazines around the world. And this is the third MIPA Award H&K has won in the past five years: in 2018, era 1 won the Best Acoustic Amplifier prize, while the flagship TriAmp Mark 3 electric guitar amp was named Best Guitar Amplifier at the 2015 ceremony. Happy days! Now check out Black Spirit 200 here!